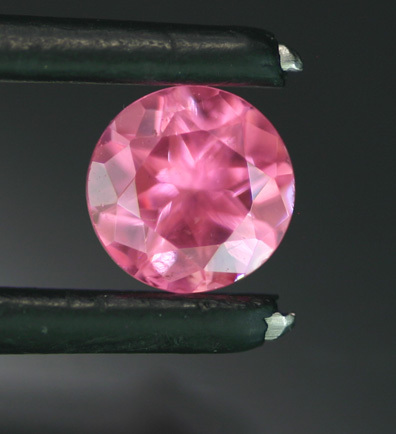 We often look through dozens of the very best of these Chinese Rhodochrosites to find the one or two stones are just right. Clarity is so important to these - the lightest veil can interrupt the reflections and the brilliance will suffer. Cutting is also of paramount importance - Rhodochrosite has very high optical properties, but poorly cut pieces will not be nearly as visually impressive as they could have been. This is a fantastic stone, clean and bright and with a superb and intensely saturated color. Dispersion is a difficult quality to capture in a photograph, so no doubt you will be dazzled by this one in person. Excellent size in the most popular shape as well.